The Royal Australian and New Zealand College of Radiologists (RANZCR) is marked the 2018 International Day of Radiology (IDoR) with two new tools, MRI information for Adults & MRI information for Children that highlight the vital importance of MRI. 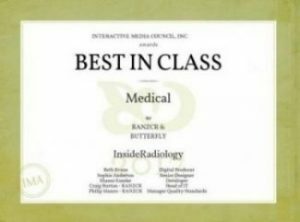 Learn about the value clinical radiologists bring to healthcare—and how InsideRadiology can play a part in your preparation for a test or procedure—in this short video developed by the Faculty of Clinical Radiology. The Royal Australian and New Zealand College of Radiologists (RANZCR) is a not-for-profit association of members who deliver skills, knowledge, insight, time and commitments to promote the science and practice of the medical specialties of clinical radiology (diagnostic and interventional) and radiation oncology in Australia and New Zealand. Page last modified on 24/4/2019.